Last weekend, Immigration and Customs Enforcement agents executed a “targeted operation,” arresting 26-year-old Shéyaa Bin Abraham-Joseph—better known as 21 Savage, the Grammy-nominated artist behind such hits as “Bank Account” and “A Lot.” At first, there was confusion: Doesn’t he strongly identify as being from Atlanta? But after a game of public-statement tag, ICE and the rapper’s lawyers explained that 21 was born in the United Kingdom, and his family brought him to the United States when he was 7 years old. In 2005, when he was 12, he left the United States for a brief time, and then returned on a temporary visa, which expired the following year. Since then, he’s been living in the United States without authorization and trying to legalize his immigration status. According to 21’s lawyers, he has three US-citizen kids, and his mother and four of his siblings are all either US citizens or legal residents. That ICE would take action to deport someone with significantly deeper ties to the United States than to their birth country shouldn’t surprise anyone. More shocking is the high-profile nature of their target. Isn’t this a public-relations nightmare for the agency? Why would ICE want to bring celebrity attention to the fact that it routinely separates families and upends lives? What’s the play? The answer lies in the details of ICE’s public statements. 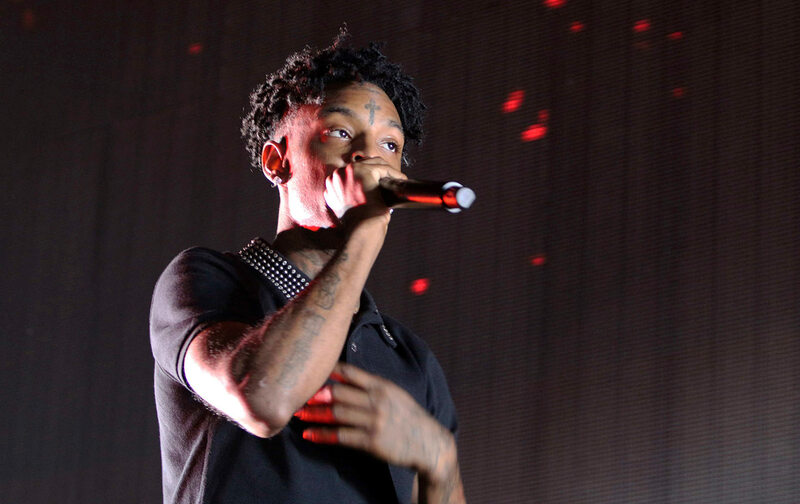 In addition to the overstayed visa, the agency initially justified its effort to deport 21 Savage by citing a 2014 felony drug conviction (while failing to mention that the conviction was expunged in 2018). Then, an ICE spokesperson proclaimed to CNN that the artist’s “whole public persona is false”—presumably a reference to the fact that he raps about being from Atlanta even though he was born abroad. The demonization efforts are obvious. And these comments reek of ICE’s historical need to race-bait and fearmonger its way into justifying its own existence. In 2002–03, during the Bush administration’s post-9/11 jingoism crusade, the president reorganized the entirety of the government’s citizenship and immigration bureaucracy, transferring everything from the Justice Department to the newly-formed Department of Homeland Security. Rather than a normal part of civic life in a globalized 21st-century world, migrants—particularly the thousands of Mexicans who were crossing the border to find work at the time—were now implied to be inherent threats to the safety of native-born US citizens. Today, ICE prominently displays the percentage of its arrestees and deportees who are “convicted criminals” in most of its literature—never mind the fact that noncitizens face the same unjust criminal-justice system as citizens when they commit crimes, and never mind that a majority of “criminal aliens” commit victimless crimes. It’s crucial for the immigration-enforcement apparatus to portray migrants as dangerous and prone to criminality; otherwise, the system serves no significant purpose. And when racist politicians, organizations, or news channels want to advocate for a new crackdown on immigrants, they simply invent new ways to amplify the racialized, manufactured threats. It’s clear, then, that ICE’s arrest of 21 Savage is no public-relations debacle. Instead, he’s the ideal target: a new interloper to hate, and the perfect stunt to get Republicans to keep answering “immigration” or “border security” as their number-one political issue. He’s black. He’s a rapper with face tattoos. He talks about gangs. He’s been involved with drugs and gun violence. And—surprise!—he’s an immigrant. Ignore that he has three young children, that he’s a well-known and benevolent member of the East Atlanta community, and that he has built his life in the United States. If “unknown Middle Easterners” are infiltrating Central American caravans and terrorists with prayer rugs are sneaking across the southern border, then what’s stopping “illegals” from becoming scary rappers and embedding themselves within street gangs? America’s central problems, the racist narrative goes, stem from immigration, and incidents like this prove that. Six days before his arrest, 21 Savage performed a special version of his song, “A Lot,” on The Tonight Show, using the occasion to highlight, among other issues, the horrors of the Trump administration’s immigration policies: “Been through some things but I can’t imagine my kids stuck at the border / Flint still need water / People was innocent, couldn’t get lawyers.” Like his arrest, his lyrics interwove injustices that are mostly—incorrectly—framed as distinct. It’s hard to measure the degree to which racism is embedded within the immigration system, but one thing’s for sure: It’s a lot. 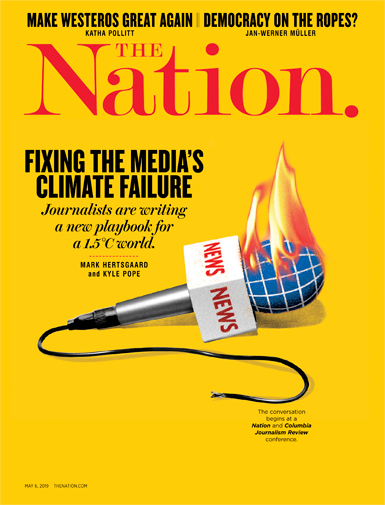 Chris GelardiChris Gelardi is a New York City–based journalist and a former editorial intern at The Nation.